The recording of our June 10th webinar with Maarten Balliauw, .NET Code Coverage for Continuous Integration using TeamCity and dotCover, is now available on JetBrains YouTube Channel and slides on slideshare. In this webinar we use dotCover to collect code coverage information while running tests in our CI process. We can see how we can configure code coverage and how we can use the TeamCity Visual Studio plugin to download the coverage snapshot generated on the build server and inspect it using dotCover on a developer machine. How much of our code is being covered by our unit tests? Are there areas we are not testing? By capturing code coverage data during a test run, we can analyze which areas of our applications are well-tested and which ones require additional tests to be written. And where better to capture code coverage information than on our build server? Find out in this webinar. 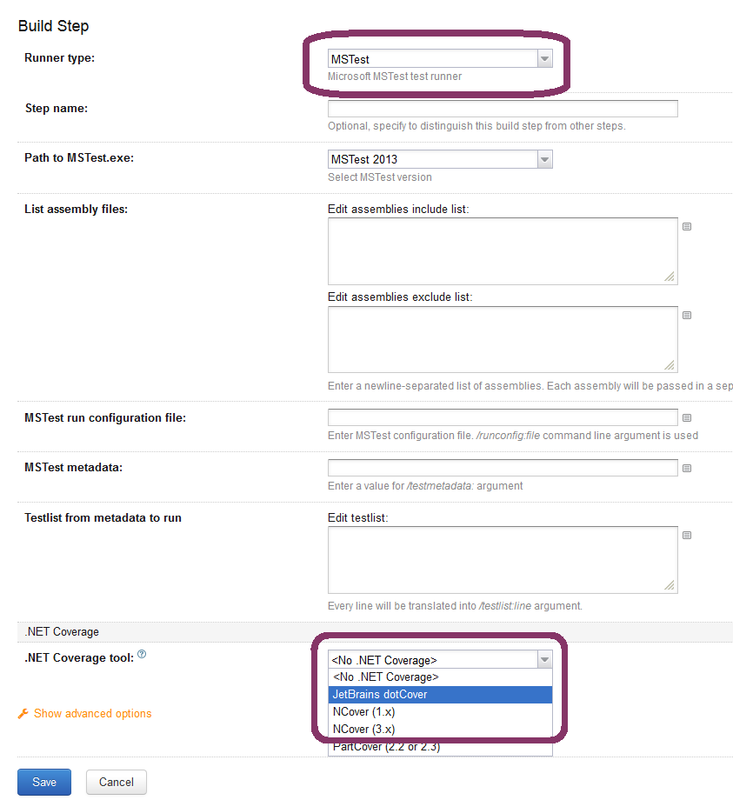 Q: Can we use MStest with TeamCity and also get code coverage with dotCover? Q: Is it possible to use dotCover on TeamCity with xUnit.net tests? A: Yes, it is possible. If you are using xUnit and you want to capture code coverage, you can run dotCover from the command line and import the data into TeamCity by using a service message. The process details are described by Maarten during the webinar (starting from 24th minute). This entry was posted in Screencast, Webinar and tagged ci, Code Coverage, dotCover, NUnit, teamcity, unit testing, webinar, xUnit. Bookmark the permalink. Excellent video and very helpful for me setting up our teamcity server, I wonder if you could cover a bit more in-depth how to make the xUnit.net solution work for multiple test assemblies, we tend to have something.tests.dll or something.integration.tests.dll as a naming convention and also we have multiple services, so files in separate folders, having all of this happen from one XML config for Dotcover would be the preference if possible? Thank you for reaching us out. If you are going to use only xUnit test runner, you can include/exclude particular assemblies by applying filters. This doc might be helpful. A scenario with multiple test runners would be a bit more complicated.